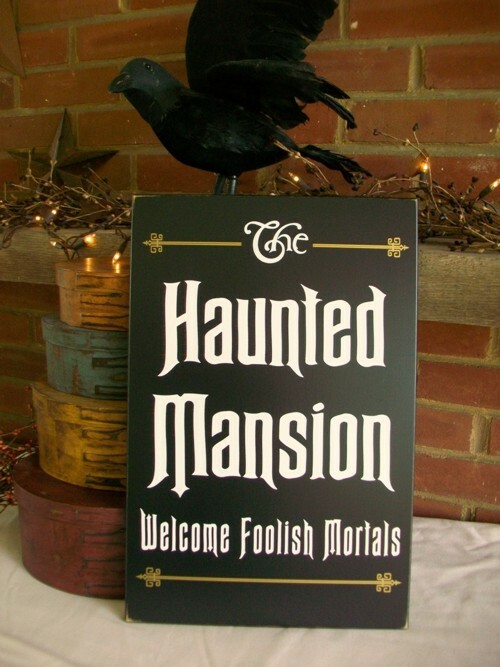 Great spooky sign for Halloween decorating. A welcome to our haunted house. white lettering and gold accents.